Murdoch Mackenzie (Senior) contributed more enduringly to British theoretical and practical hydrography than any other individual. Born in Orkney in 1712, this grandson of the Bishop of Orkney had a mathematical aptitude which brought him into contact with mathematician Professor Colin Maclaurin who successfully advocated Mackenzie’s suitability to undertake a hydrographic survey in the Orkney Isles from 1742. Here, Mackenzie had valuable contacts to aid his work which resulted in the most precise and comprehensive marine survey yet undertaken in the British Isles. In 1750 his charts were published as Orcades, or a geographic and hydrographic survey of the Orkney and Lewis Islands. With Admiralty patronage, Mackenzie then embarked on a much grander project. 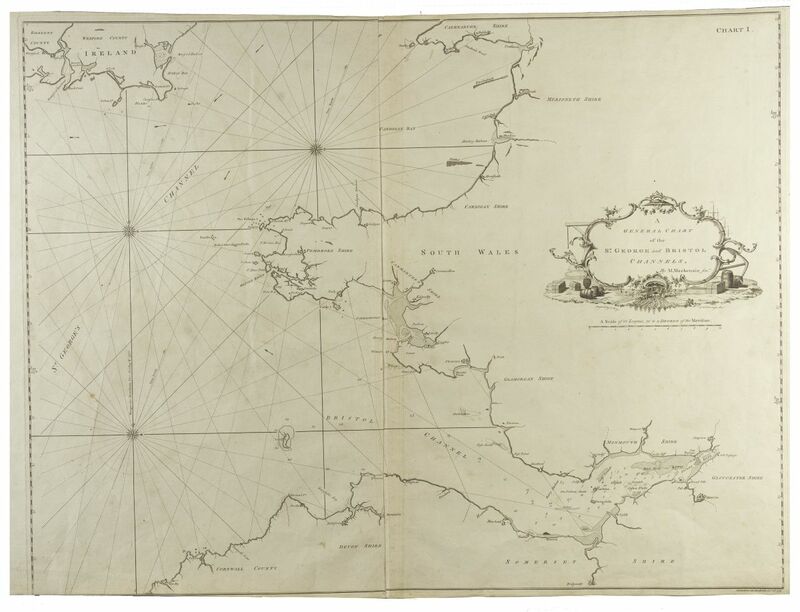 He was commissioned in 1751 to survey the west coast of Britain and the entire coast of Ireland, a twenty-two year task which culminated in the publication of two chart volumes in 1774 and 1776. By 1757 Scotland’s west coast mainland and islands had been surveyed. There followed a ten year survey of Ireland before his return to Great Britain’s western shores. 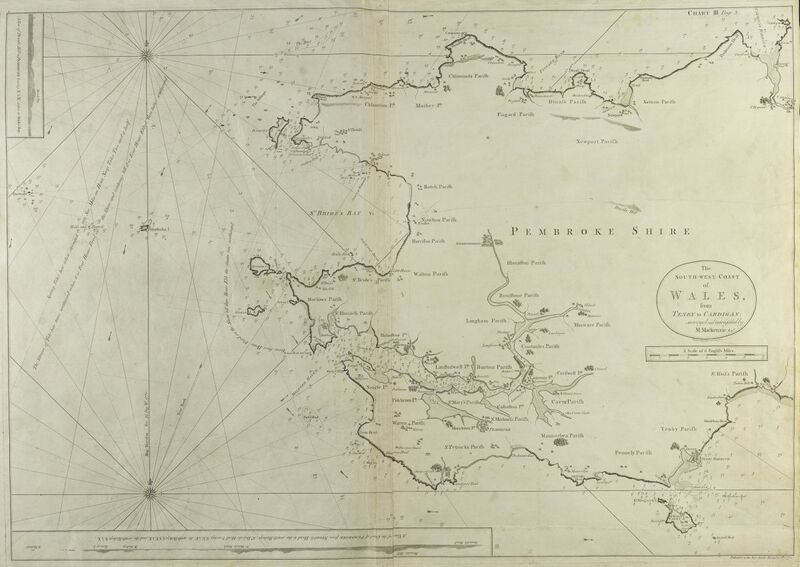 In 1770 the survey ended in Pembrokeshire, the Menai Strait being omitted, having been regarded by Mackenzie as unnavigable for larger vessels. Mackenzie’s tried and tested surveying methods were acceptably accurate. They were also relatively swift, as is apparent from the prodigious length of coast surveyed in twenty years. This achievement was also particularly commendable bearing in mind the limitations of his surveying and monetary resources. On Mackenzie’s retirement in 1770, he was succeeded as Admiralty Maritime Surveyor by his nephew, Lieutenant Murdoch Mackenzie (Junior). In 1771 Lieutenant Mackenzie continued where his uncle had ended by surveying the Bristol Channel.